June Huh at the Institute for Advanced Study in Princeton, N.J.
We arrived at Huh’s classroom a few minutes before class was scheduled to begin. Inside, nine students sat in loose rows. One slept with his head down on the table. Huh took a position in a front corner of the room and removed several pages of crumpled notes from his backpack. Then, with no fanfare, he picked up where he’d left off the previous week. Over the next 80 minutes he walked students through a proof of a theorem by the German mathematician David Hilbert that stands as one of the most important breakthroughs in 20th-century mathematics. Commutative algebra is taught at the undergraduate level at only a few universities, but it is offered routinely at Princeton, which each year enrolls a handful of the most promising young math minds in the world. Even by that standard, Huh says the students in his class that morning were unusually talented. One of them, sitting that morning in the front row, is the only person ever to have won five consecutive gold medals at the International Mathematical Olympiad. Nine years later, at the age of 34, Huh is at the pinnacle of the math world. He is best known for his proof, with the mathematicians Eric Katz and Karim Adiprasito, of a long-standing problem called the Rota conjecture. 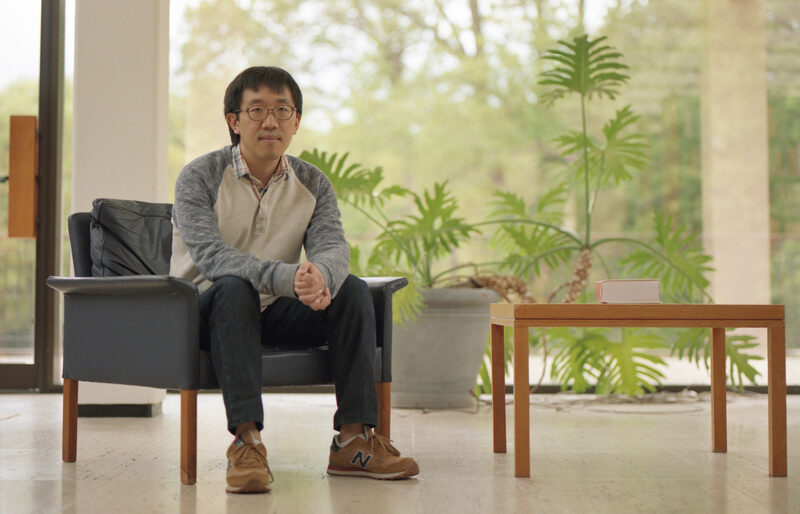 Even more remarkable than the proof itself is the manner in which Huh and his collaborators achieved it — by finding a way to reinterpret ideas from one area of mathematics in another where they didn’t seem to belong. This past spring IAS offered Huh a long-term fellowship, a position that has been extended to only three young mathematicians before. Two of them (Vladimir Voevodsky and Ngô Bảo Châu) went on to win the Fields Medal, the highest honor in mathematics. Inside Huh’s office at the IAS. Huh was born in 1983 in California, where his parents were attending graduate school. They moved back to Seoul, South Korea, when he was two. There, his father taught statistics and his mother became one of the first professors of Russian literature in South Korea since the onset of the Cold War. When Huh was 24 and in his last year of college, the famed Japanese mathematician Heisuke Hironaka came to Seoul National as a visiting professor. Hironaka was in his mid-70s at the time and was a full-fledged celebrity in Japan and South Korea. He’d won the Fields Medal in 1970 and later wrote a best-selling memoir called The Joy of Learning, which a generation of Korean and Japanese parents had given their kids in the hope of nurturing the next great mathematician. At Seoul National, he taught a yearlong lecture course in a broad area of mathematics called algebraic geometry. Huh attended, thinking Hironaka might become his first subject as a journalist. After class Huh would make a point of talking to Hironaka, and the two soon began having lunch together. Hironaka remembers Huh’s initiative. “I didn’t reject students, but I didn’t always look for students, and he was just coming to me,” Hironaka recalled. Huh tried to use these lunches to ask Hironaka questions about himself, but the conversation kept coming back to math. When it did, Huh tried not to give away how little he knew. “Somehow I was very good at pretending to understand what he was saying,” Huh said. Indeed, Hironaka doesn’t remember ever being aware of his would-be pupil’s lack of formal training. “It’s not anything I have a strong memory of. He was quite impressive to me,” he said. In Kyoto and Seoul, Hironaka and Huh would go out to eat or take long walks, during which Hironaka would stop to photograph flowers. They became friends. “I liked him and he liked me, so we had that kind of nonmathematical chatting,” Hironaka said. In 2009, at Hironaka’s urging, Huh applied to a dozen or so graduate schools in the U.S. His qualifications were slight: He hadn’t majored in math, he’d taken few graduate-level classes, and his performance in those classes had been unspectacular. His case for admission rested largely on a recommendation from Hironaka. Most admissions committees were unimpressed. Huh got rejected at every school but one, the University of Illinois, Urbana-Champaign, where he enrolled in the fall of 2009. At Illinois, Huh began the work that would ultimately lead him to a proof of the Rota conjecture. 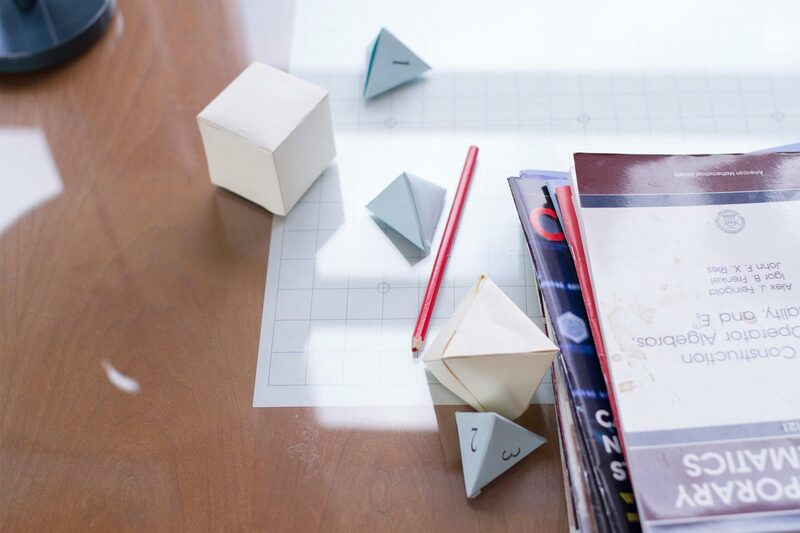 That problem was posed 46 years ago by the Italian mathematician Gian-Carlo Rota, and it deals with combinatorial objects — Tinkertoy-like constructions, like graphs, which are “combinations” of points and line segments glued together. 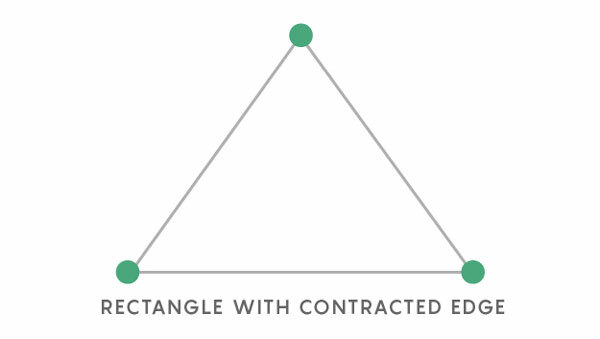 Consider a simple graph: a triangle. q options for the first vertex, because when you’re starting out you can use any color. q – 1 options for the adjacent vertex, because you can use any color save the color you used to color the first vertex. q – 2 options for the third vertex, because you can use any color save the two colors you used to color the first two vertices. The total number of colorings will be all options multiplied together, or in this case q x (q – 1) x (q – 2) = q3 – 3q2 + 2q. That equation is called the chromatic polynomial for this graph, and it has some interesting properties. Take the coefficients of each term: 1, –3 and 2. The absolute value of this sequence — 1, 3, 2 — has two properties in particular. The first is that it’s “unimodal,” meaning it only peaks once, and before that peak the sequence only ever rises, and after that peak it only ever falls. The second property is that the sequence of coefficients is “log concave,” meaning that any three consecutive numbers in the sequence follow this rule: The product of the outside two numbers is less than the square of the middle number. The sequence (1, 3, 5) satisfies this requirement (1 x 5 = 5, which is smaller than 32), but the sequence (2, 3, 5) does not (2 x 5 = 10, which is greater than 32). 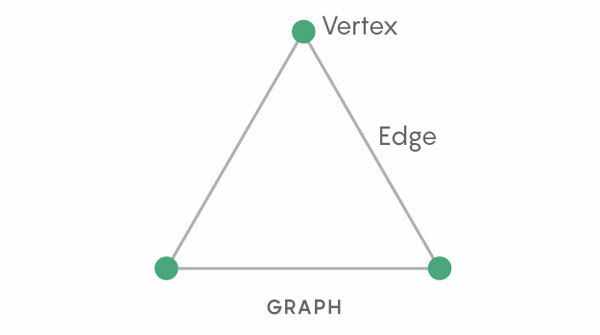 You can imagine an infinite number of graphs — graphs with more vertices and more edges connected in any number of ways. Every one of these graphs has a unique chromatic polynomial. And in every graph that mathematicians have ever studied, the coefficients of its chromatic polynomial have always been both unimodal and log concave. That this fact always holds is called “Read’s conjecture.” Huh would go on to prove it. 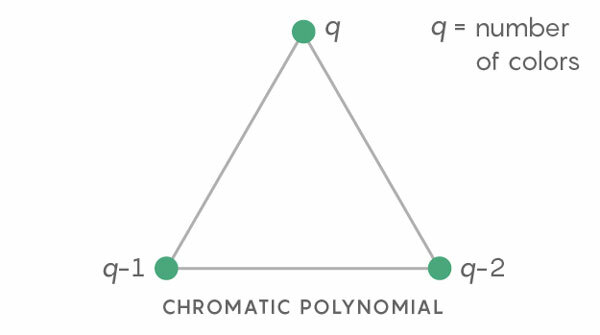 The chromatic polynomial of the rectangle is equal to the chromatic polynomial of the rectangle with one edge deleted minus the chromatic polynomial of the triangle. 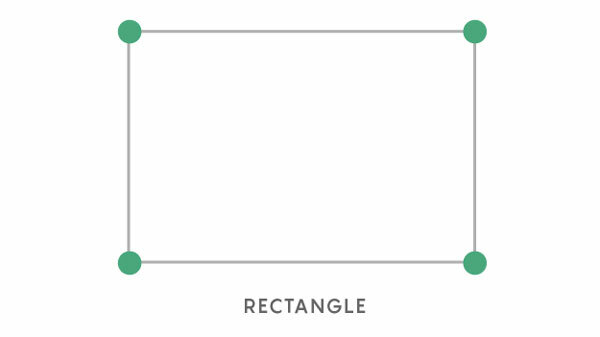 This makes intuitive sense when you recognize that there should be more ways to color the rectangle with the deleted edge than the rectangle itself: The fact that the top two points aren’t connected by an edge gives you more coloring flexibility (you can, for instance, color them the same color, which you’re not allowed to do when they’re connected). Just how much flexibility does it give you? 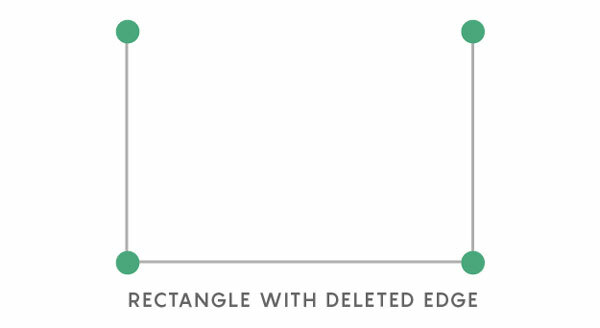 Precisely the number of coloring options for the triangle. The chromatic polynomial for any graph can be defined in terms of the chromatic polynomials of subgraphs. And the coefficients of all of these chromatic polynomials are always log concave. Yet when you add or subtract two log concave sequences, the resulting sequence is usually not itself log concave. Because of this, you’d expect log concavity to disappear in the process of combining chromatic polynomials. Yet it doesn’t. Something else is going on. “This is what made people curious of this log concavity phenomenon,” Huh said. Huh didn’t know any of this when he arrived at Illinois. 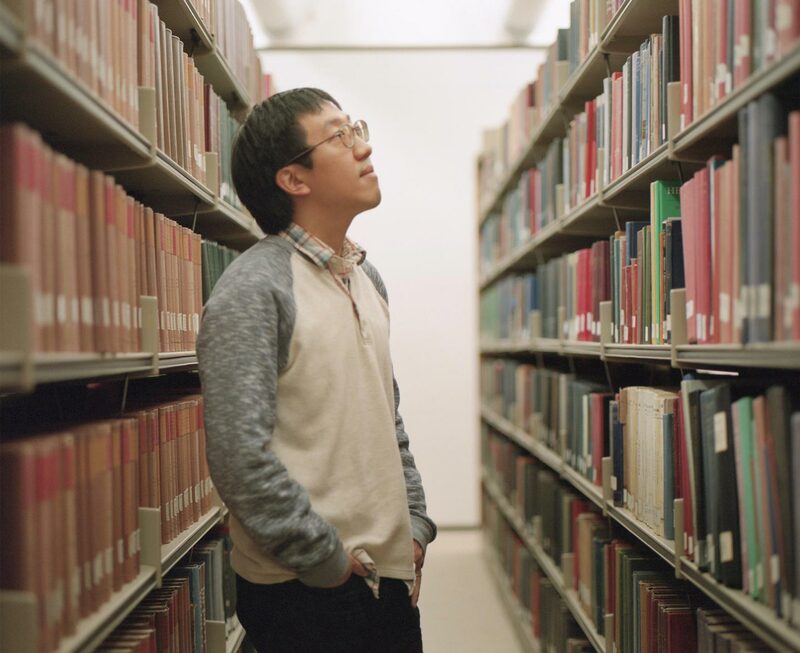 Most first-year graduate students spend more time in class than on their own research, but following his three-year apprenticeship with Hironaka, Huh had ideas that he wanted to pursue. Through his first Midwestern winter, Huh developed techniques for applying singularity theory, the focus of his study with Hironaka, to graphs. In doing so, Huh found that when he constructed a singularity from a graph, he was suddenly able to use singularity theory to justify properties of the original graph — to explain, for instance, why the coefficients of a polynomial based on the graph would follow a log concave pattern. This was interesting to Huh, so he searched the graph theory literature to see if others had previously explained these log concave patterns he was seeing. He discovered that to graph theorists, the patterns were still entirely mysterious. “I noticed this pattern I’d observed was in fact a well-known conjecture in graph theory, Read’s conjecture. In a sense I solved this problem without knowing the problem,” Huh said. Huh’s inadvertent proof of Read’s conjecture, and the way he combined singularity theory with graphs, could be seen as a product of his naïve approach to mathematics. He learned the subject mainly on his own and through informal study with Hironaka. People who have observed his rise over the last few years imagine that this experience left him less beholden to conventional wisdom about what kinds of mathematical approaches are worth trying. “If you look at mathematics as a kind of continent divided into countries, I think in June’s case nobody really told him there were all these borders. He’s definitely not constrained by any demarcations,” said Robbert Dijkgraaf, the director of IAS. Soon after he posted his proof of Read’s conjecture, the University of Michigan invited Huh to give a talk on his result. On December 3, 2010, he addressed a room full of many of the same mathematicians who had rejected his graduate school application a year earlier. By this point Huh’s talent was becoming evident to other mathematicians. 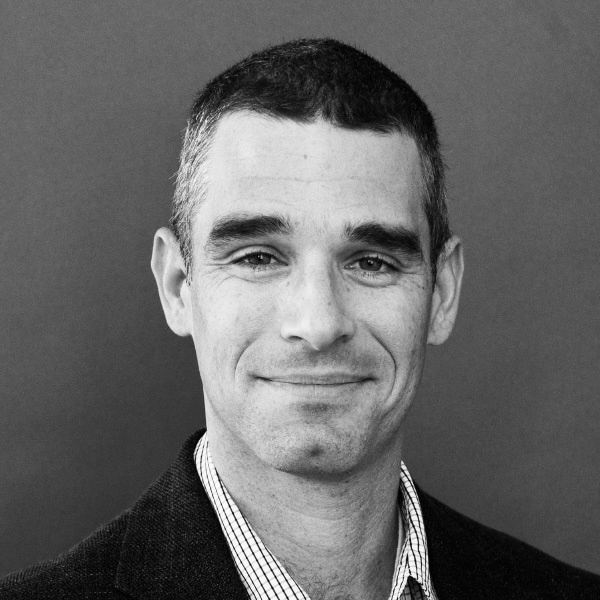 Jesse Kass was a postdoctoral fellow in mathematics at Michigan at the time. Just before Huh’s visit, a senior faculty member encouraged Kass to watch the talk because “30 years from now you can tell your grandchildren you saw Huh speak before he got famous,” recalled Kass, who’s now a professor at the University of South Carolina. Huh’s lecture did not disappoint. “The talk was somehow very polished and very clear; it just went to the right points. It’s a bit unusual for a beginning graduate student to give such clean talks,” said Mircea Mustaţă, a mathematician at Michigan. Following his talk, the Michigan faculty invited Huh to transfer, which he did in 2011. By that point he’d learned that Read’s conjecture was a special case of a larger and more significant problem — the Rota conjecture. 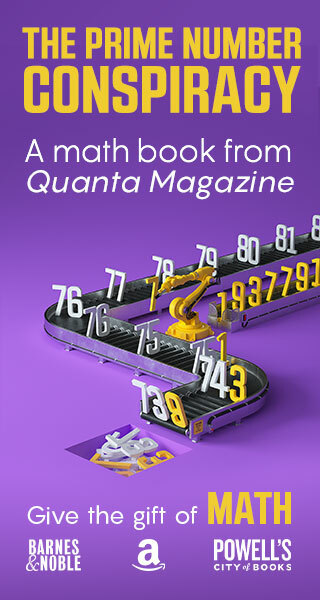 The Rota conjecture is very similar to Read’s conjecture, but instead of graphs it addresses more abstract combinatorial objects called “matroids” (a graph can be viewed as a particularly concrete type of matroid) and a different kind of equation that arises from each matroid, called the “characteristic polynomial.” But the underlying point is the same: The Rota conjecture predicts that the coefficients of the characteristic polynomial for any matroid are always log concave. The statement is simple, and evidence for it is abundant, but proving it — explaining why this log concavity occurs — is difficult. There’s nothing about the matroids themselves that suggests why the log concavity would hold uniformly when you add or subtract the characteristic polynomials of submatroids (just as there’s no obvious reason the log concavity would hold when you add or subtract the chromatic polynomials of graphs). Whenever you observe a pattern with no obvious cause, it’s natural to start digging below the surface — to look for the roots that explain the tree. That’s what Huh did when he and his collaborators began to attack the Rota conjecture. Initially Huh looked for ways to extend the techniques from singularity theory that he had used for Read’s conjecture, but he quickly found that they didn’t work in the more abstract realm of matroids. This failure left him looking for some other kind of structure, hidden beneath the surface of matroids, that could explain the way they behaved mathematically. Some of the biggest leaps in understanding occur when someone extends a well-established theory in one area to seemingly unrelated phenomena in another. Think, for example, about gravitation. People have always understood that objects fall to the ground when released from a height; the heavens became far more intelligible when Newton realized the same dynamic explained the motion of the planets. In math the same kind of transplantation occurs all the time. In his widely cited 1994 essay “On Proof and Progress in Mathematics,” the influential mathematician William Thurston explained that there are dozens of different ways to think of the concept of the “derivative.” One is the way you learn it in calculus — the derivative as a measure of infinitesimal change in a function. But the derivative appears in other guises: as the slope of a line tangent to the graph of a function, or as the instantaneous speed given by a function at a specific time. “This is a list of different ways of thinking about or conceiving of the derivative, rather than a list of different logical definitions,” Thurston wrote. It’s hard to overstate how little Hodge theory would seem to relate to graphs or matroids. The cohomology rings in Hodge theory arise from smooth functions that come packaged with a concept of the infinite. By contrast, combinatorial objects like graphs and matroids are purely discrete objects — assemblages of dots and sticks. To ask what Hodge theory means in the context of matroids is a little like asking how to take the square root of a sphere. The question doesn’t appear to make any sense. Yet there was good reason to ask. In the more than 60 years since Hodge theory was proposed, mathematicians have found a number of instances of Hodge-type structures appearing in settings far removed from their original algebraic context. 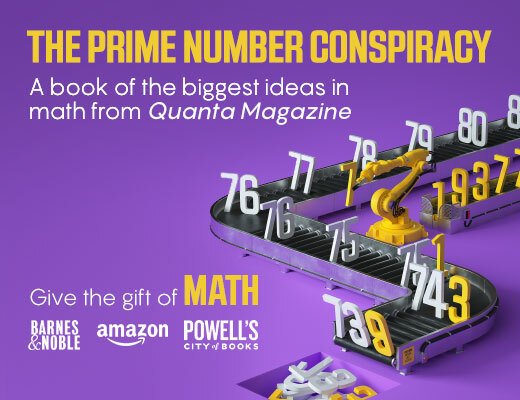 It’s as if the Pythagorean relationship, once thought to be the exclusive provenance of right triangles, also turned out to describe the distribution of prime numbers. “There is some feeling that these structures, whenever they exist, are fundamental. They explain facts about your mathematical structure that are hard to explain by any other means,” Huh said. Some of these new settings have been combinatorial, which encouraged Huh to wonder whether relationships from Hodge theory might underlie these log concave patterns. Searching for a familiar math concept in a foreign land is not easy, though. In fact, it’s a bit like searching for extraterrestrial life — you might have ideas about signature characteristics of life, hints you might use to guide your hunt, but it’s still hard to anticipate what a new life-form might look like. In recent years Huh has done much of his most important work with two collaborators — Eric Katz, a mathematician at Ohio State University, and Karim Adiprasito, a mathematician at the Hebrew University of Jerusalem. They make an unusual trio. Adiprasito initially wanted to be a chef and spent time backpacking around India before settling down in combinatorics, the area of mathematics that’s home to graph theory and problems like the Rota conjecture. He liked math in high school but turned away from it because “I felt it wasn’t creative enough for me,” he said. Katz has a frenetic mind and obsessively detailed knowledge of indie rock bands, developed in his earlier years as a college radio DJ. Of the three collaborators, he is the closest to having a typical math pedigree, and he views himself as a kind of interpreter between the creative ideas of the would-be poet and the would-be chef. Katz became aware of Huh’s work in 2011, after Huh proved Read’s conjecture but before he’d made any progress proving the Rota conjecture. Katz read Huh’s proof of Read’s conjecture and observed that if he cut out one particular step in the argument, he could apply the methods from that paper to get a partial proof of the Rota conjecture. He contacted Huh, and over the course of just a few months the two wrote a paper (published in 2012) that explained log concavity for a small class of matroids called “realizable” matroids. Yet that paper didn’t solve the hardest part of the Rota conjecture — proving log concavity for “nonrealizable” matroids, which comprise the vast majority of all matroids. Hodge theory, remember, was defined originally in the 1950s on objects called the “cohomology rings of algebraic varieties.” If you want to prove that Hodge-type structures explain phenomena observed in matroids, you need to find a way of explaining how something like a cohomology ring can be distilled out of a matroid. With realizable matroids, there was a very straightforward way to do this, which is why Huh and Katz’s proof for that piece of the Rota conjecture came so quickly. But with nonrealizable matroids, there was no obvious way to instantiate a cohomology ring — they were like a language without a word for that concept. For four years Huh and Katz tried and failed to find a way to define what a Hodge structure would mean in the context of nonrealizable matroids. During that time they determined that one particular aspect of Hodge theory — known as the Hodge index theorem — would be enough by itself to explain log concavity, but there was a catch: They couldn’t find a way to actually prove that the Hodge index theorem was true for matroids. This technique provided a full proof of the Rota conjecture. The trio posted their work online in November 2015, and since then it has rippled through the math world. Their work provides a fully combinatorial vision of Hodge theory, which in turn provides a whole new way to approach open problems in combinatorics. The work has also elevated Huh’s profile. In addition to his new position at IAS, Huh is frequently mentioned as a strong contender for the Fields Medal, which is given every four years to the most accomplished mathematicians under the age of 40. If he doesn’t get it in the 2018 prize cycle, he’s still young enough to qualify in 2022. Back in 2012, Huh went to Seoul National University to give a talk on his recent proof of Read’s conjecture. Hironaka was in the audience, and he recalls being surprised to learn that singularity theory had applications to graphs. Afterward, he asked Huh if this new work marked a change in his research interests. “I remember I asked him if he’s completely in graph theory kinds of things and has lost interest in singularities. He said no, he’s still interested in singularities,” Hironaka said. Huh and Hironaka have not seen each other since. Hironaka is now 86. He’s retired but continues to work toward a proof of the problem in singularity theory that has occupied him for decades. In March he posted a long paper to his old faculty webpage at Harvard University that he says provides a proof. Other mathematicians, including Huh, have taken a preliminary look at the work but have not yet verified that the proof holds. It’s hard for Hironaka to travel, but he wishes it were easier for him to see Huh again. “I only hear about him,” Hironaka said. 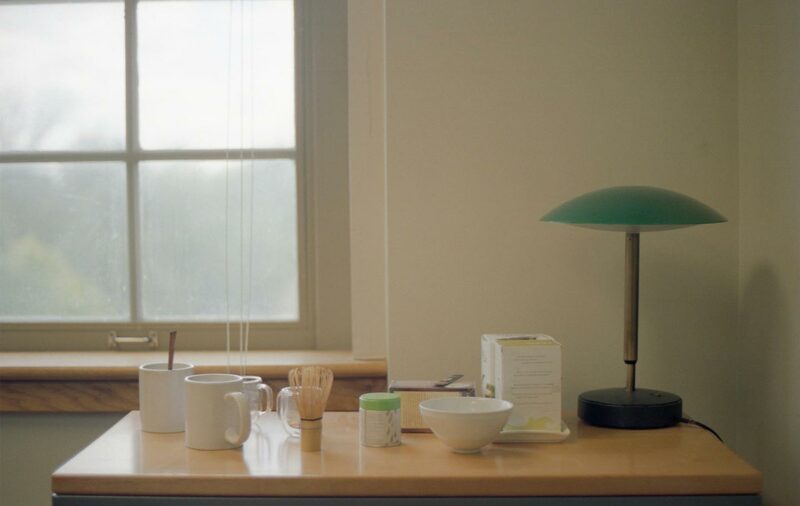 Over coffee one afternoon at Huh’s apartment on the IAS campus, I asked him how he feels about not pursuing the research track Hironaka may have hoped for him. He thought for a moment, then said he feels guilty. At the same time, Huh regards the distance he has traveled from his mathematical roots as a good and maybe necessary step in the development of his work. As we parted on a street corner in Princeton, he remarked, “I need space to think,” before heading into the quiet confines of IAS. He found his own way into mathematics, and now that he’s there, he’s going to find his own path through it. Correction June 27, 2017: The original version of this article included an error in the calculation of the chromatic polynomial of a rectangle. Corrections June 15, 2018: The original version of this article stated that Hodge theory was developed in the 1950s and implied that Rota’s conjecture was made in 1961. In fact, Hodge theory was developed in the 1930s and Rota made his conjecture in 1971.